…but these cookies were kinda boring, so I jazzed them up with some AB & J! 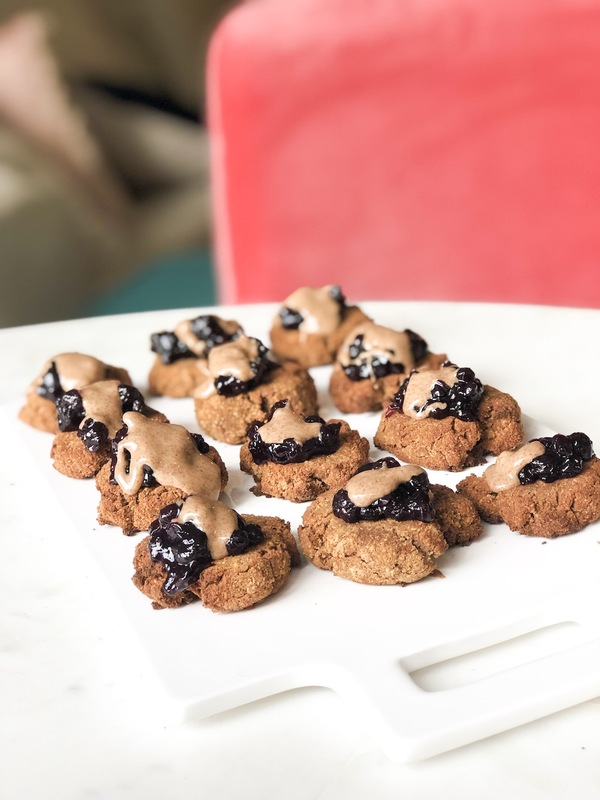 During the holidays gingerbread is all the rage – and these cookies are pretty good, but even BETTER with my added twist of almond butter and jelly for some extra sweetness. These cookies are dairy free, gluten free, and paleo too. 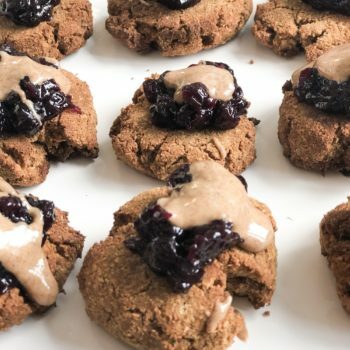 Make these cookies for your next holiday party or for your next holiday cookie swap – but don’t forget the almond butter and jelly! You’ll be sorry if you do! If you want to mix these cookies up, you could skip the gingerbread altogether and add chocolate chips (and also skip molasses swap for maple syrup and also skip the cloves too) – or add pecans and cranberries for a different type of yummy flavor as well. Enjoy these tasty, gooey, delicious cookies! Holiday season means gingerbread! We love to make these delicious, and flavorful cookies at this time of year to eat in front of our Christmas tree! With an added twist of some almond butter and jelly! Line a cookie sheet with coconut oil or avocado oil spray. In a small bowl, combine the ingredients for the flax egg- set aside- allow to sit for 1-2 minutes or until set. 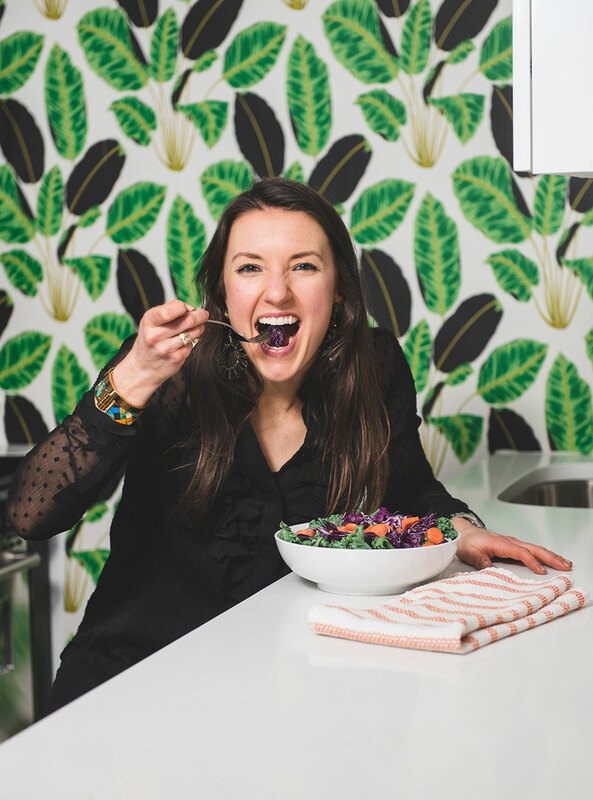 In a larger bowl combine the wet ingredients - avocado oil, molasses, water, vanilla, flax egg- use an immersion blender or blend in the blender until well mixed. Next, add the dry ingredients into the wet mixture- combine in the food processor or in the mixing bowl- combine until well mixed. Remove the dough and form into a large ball- then place in the freezer to chill for 10 minutes. Remove the dough from the freezer, roll out on a flat surface using a rolling pin- roll out until 1/4 inch thick. Use the shape (ahem, g-men) to cut the cookies into. Ball up the scraps and re-roll out and continue to make your cookies until all the dough is gone, placing the cut shapes onto the baking sheet. Once all the cookies are ready to go into the oven, place the tray into the oven and bake for 8-10 minutes or until light golden brown. Once the cookies are cooked, allow to cool. Once they're cooled, add a dollop of jelly then on top add the almond butter (divide between the 12 cookies)... and enjoy!